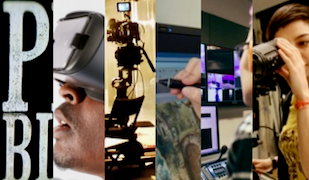 The Bureau has been created by the West Midlands Screen Bureau – an organisation set up to help build a diverse, dynamic and sustainable Creative Screen Sector, including TV, games, film, video and emerging forms, including VR. The task is to build talent, spaces and infrastructure so ideas can achieve their full potential at a time of exciting but challenging changes. This website will inform discussion, showcase activity and help coordinate work.. The West Midlands Screen Bureau has appointed experienced media analyst and journalist Michael Gubbins as its Strategic Project Leader.